Tactile, easy to work with, and soft to the touch, Crayola Modeling Clay is designed especially for kids' hands. The clay makes an ideal first sculpting compound and can help children develop an early sense of form and finesse. 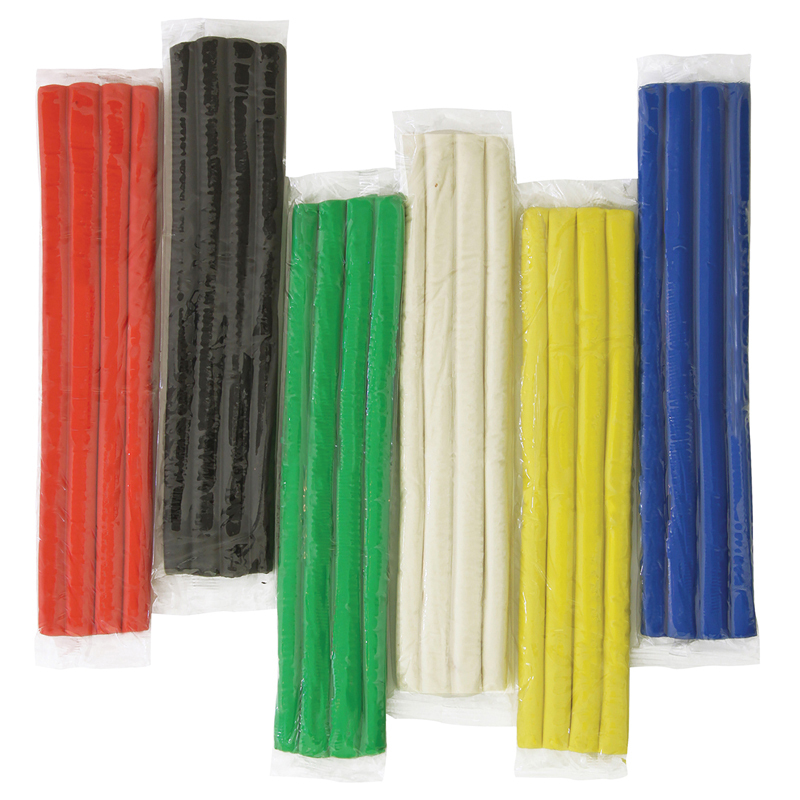 These vibrant colors are great for sculpting play houses, figures, flowers, and more. 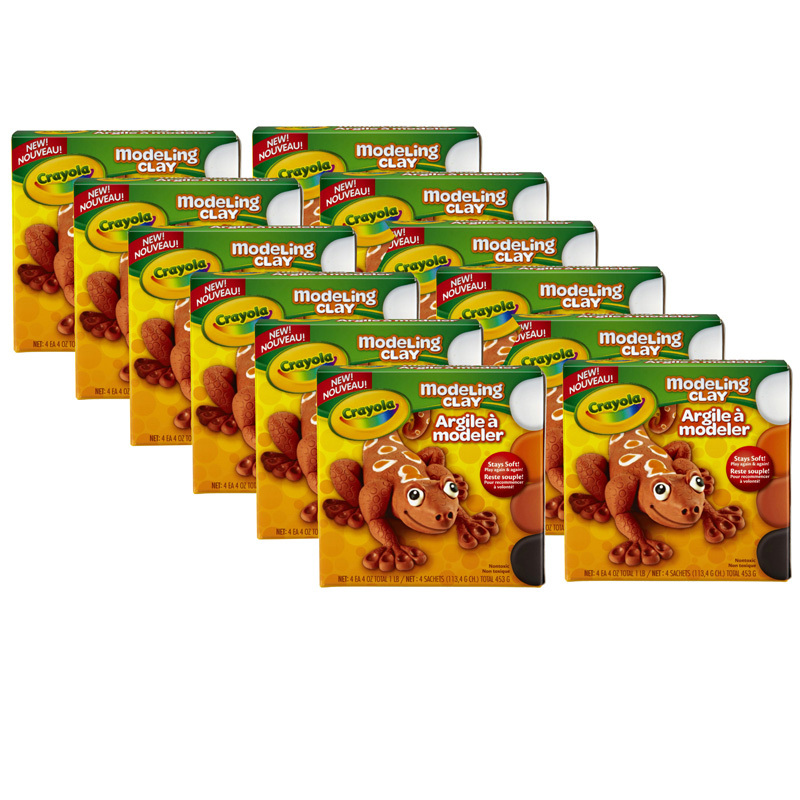 Completely nontoxic, the clay is safe and suitable for young children ages 36 months and up. The clay is also designed to scrape easily off most surfaces, making cleanup a breeze. Each pack includes 1 lb. in 4 colors: white, black, orange and light brown. 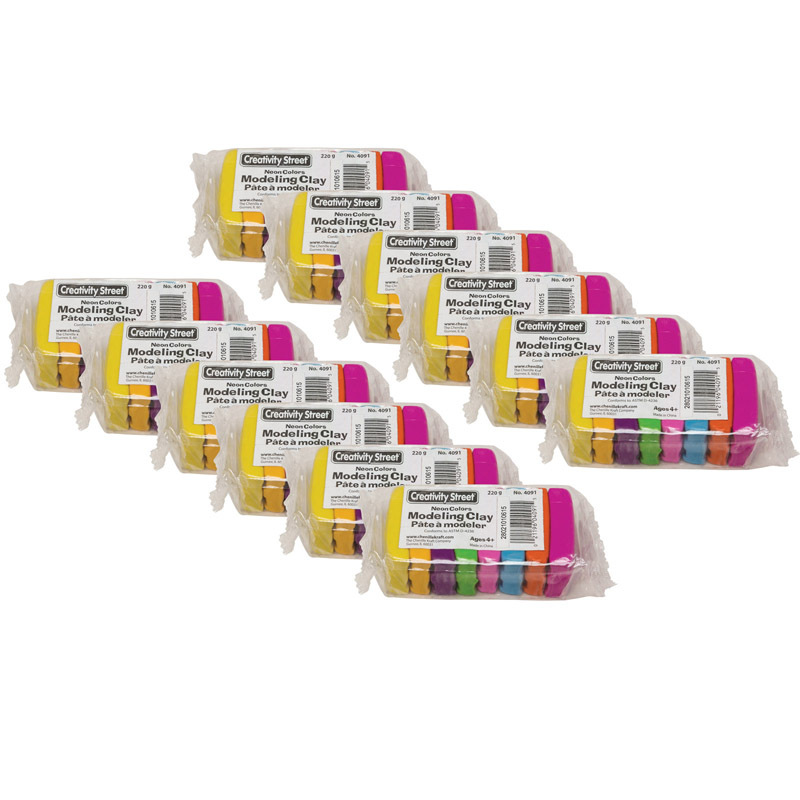 Sold as 12 packs for a total of 12 lbs of modeling clay. The (12 Ea) Modeling Clay 1 Lb Asstmntblk Wht Org Brn can be found in our Clay & Clay Tools product category within the Arts & Crafts. This clay contains eight Neon assorted colors, which can be blended to create new colors. Safe vegetable dye is used to create these colors with the finest quality materials. Each pack includes 220 grams in 8 colors. Sold as 12 packs.